Hi friends today i am going to show you How to Boot Asus F550 Laptop From Windows Bootable USB Drive to Install Windows 7, 8 or 10. New asus laptops have pre-installed dos or windows 10 , but if you want to install a custom Operating System (OS) like windows 7 , Mac or Linux you have to change some settings in bios setup to enable the option for USB or DVD boot. In default mode you can’t be able to see USB or DVD in boot menu so you have to follow my steps to go ahead. Benefits of custom OS , you install a fresh windows according to your desirable partition sizes. If you have 750GB Hard Drive , you can make C: Drive of 250 GB and rest of space as D: Drive. 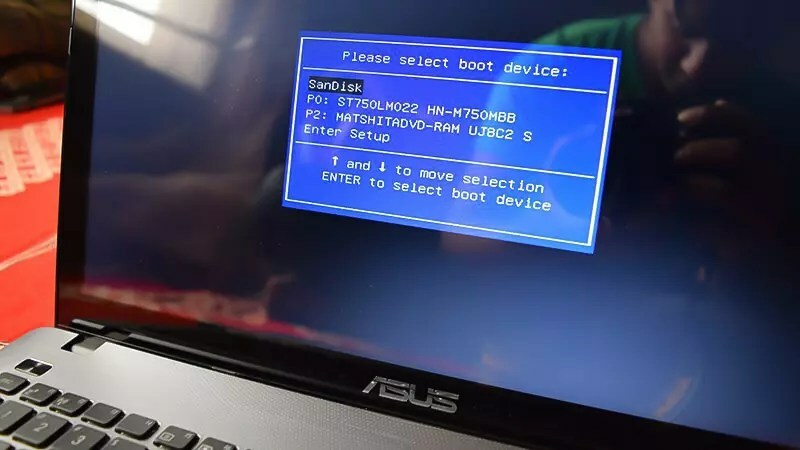 Lets see below the steps How to boot Asus laptop from USB. Step 2 : Turn on your Laptop and press the ESC key 5-10 times to open Boot menu. Step 3 : You will find a empty boot menu with “Enter Setup” option , select that and hit enter. Step 4 : Once you have entered Bios Setup , Now go to Advanced Tab by pressing Right Arrow Key. Step 5 : In Advanced tab enter the “USB Configuration” , Now go to “XHCI Pre-Boot Mode” and Disable it. Step 6 : Now go to Security Tab and Disable Secure Boot Control option. Step 7 : Next step is to Enable “Launch CSM” in the the Boot Tab , But you can’t get the option to Enable. Step 8 : To get option to Enable Launch CSM Press “F10” Button and select “Yes” to Save Configuration and Exit. Step 9 : Now Quickly press ESC Key 5-10 times and again Enter Bios Setup. Step 10 : Now go to Boot tab you will find Launch CSM option is available , just enable it and again hit F10 Button to Save and Exit. Then Quickly press ESC key 5-10 Times to Open Boot Menu. Step 11: Congratulations !! Now you Have Successfully Unlocked Boot option for your Laptop. You can now install Windows from you Bootable USB Drive or from internal DVD Drive. 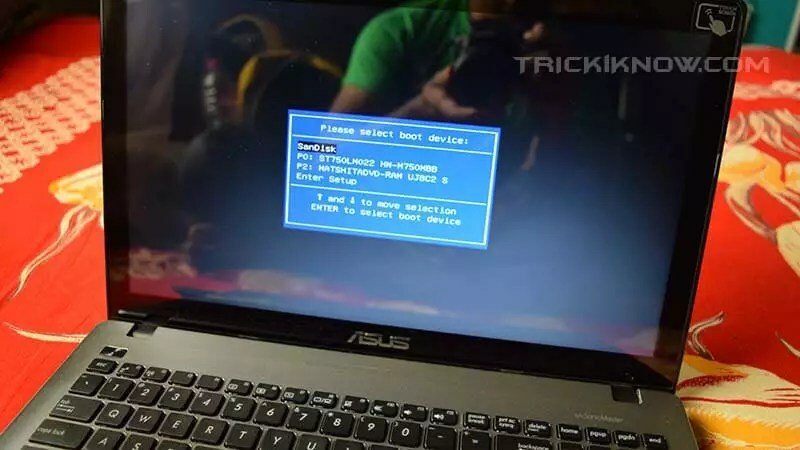 Thanks for reading How to Boot Asus Laptop From USB , this article may be related to these Searches: asus x54c boot menu, asus x540s boot from usb, asus x540s enter bios, asus x540s boot menu key, asus x540s bios, asus k52f boot menu, asus k52f boot from usb, asus x551c bios, asus x54c boot menu, asus f550 boot from usb Etc !! My asus laptop model number A540l(Asus A540L) not install win7 .. Some of the keys on my Asus keyboard is working, I replaced the keyboard, for a wile I start getting the same problem, I think is windows, I enter bios the same problem. pled help me.